There has been a recent announcement of BA (Honors) with English Majors at LUMS. Yes, that true at its Mushtaq Ahmed Gurmani School of Humanities and Social Sciences, LUMS has introduced its BA (Honors) degree for the students who want to continue their studies with English Majors at premier institute. They aim to provide the same quality and creative insight as is provided in other programs at LUMS. The program will be offered for next academic year 2013-14. 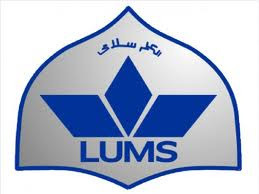 You would be able apply to BA (Honors) English majors at LUMS, which offers you 13 courses (52 credit hours) including two core courses that are introduction to English Literature and Introduction to Theory of Literature.